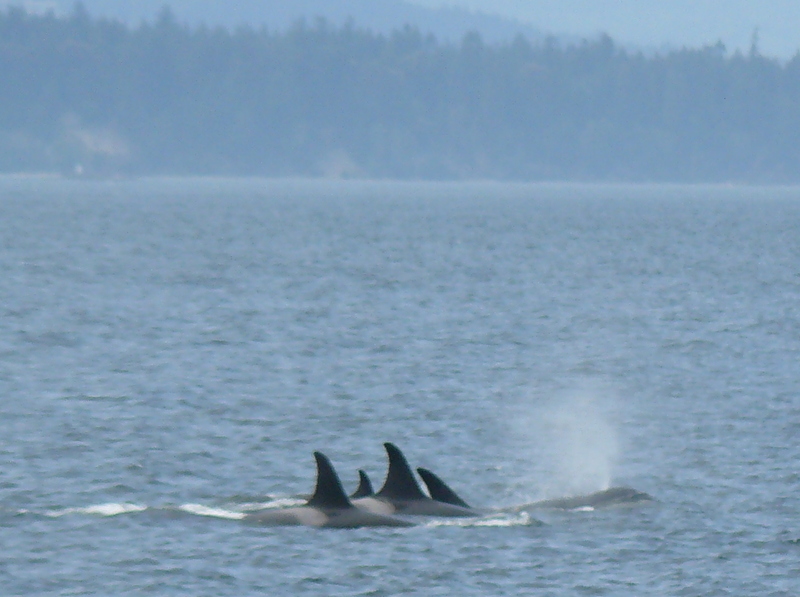 Reports of L-Pod orcas south of San Juan Island, and J-Pod orcas heading north with the small flood tide in Haro Strait, led us through Spieden Channel where we started to see whales! 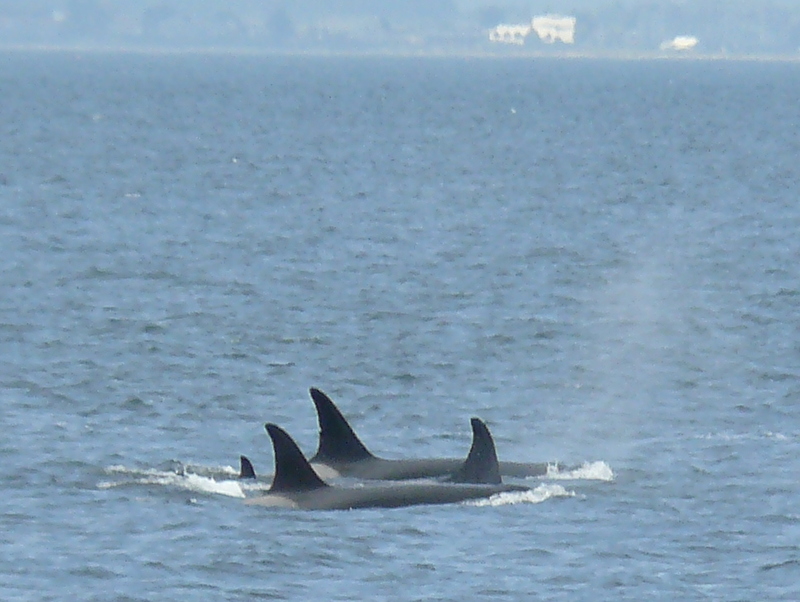 Now it was slack water, the whales where swimming leisurely in tight groups, I wonder if they were resting a bit. 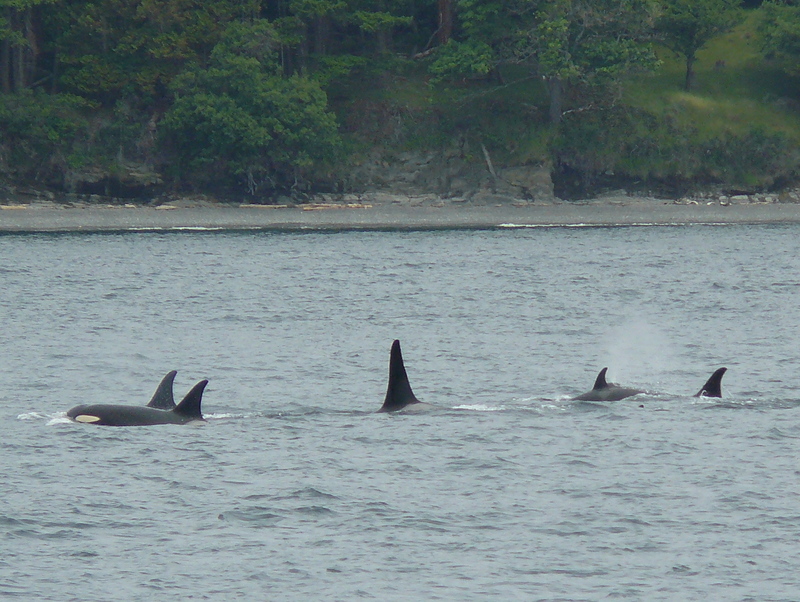 As they approached the south end of Stuart Island they began to spread out, become more active. 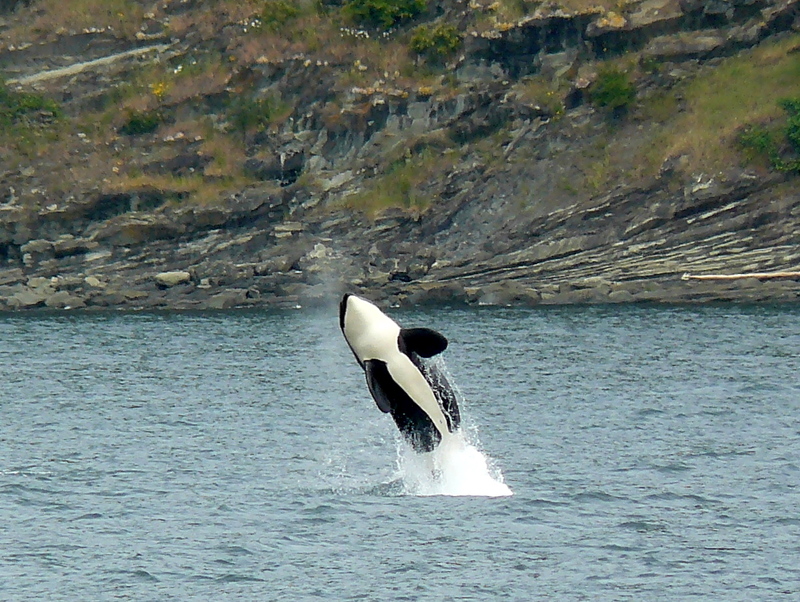 A young killer whale spy hopped, then the youngsters started breaching about 8 times, with 2 of the whales coming out of the water at the same time, leaving twin splashes!! They did this twice! A few tail fluke slaps as they swam closer to shore. 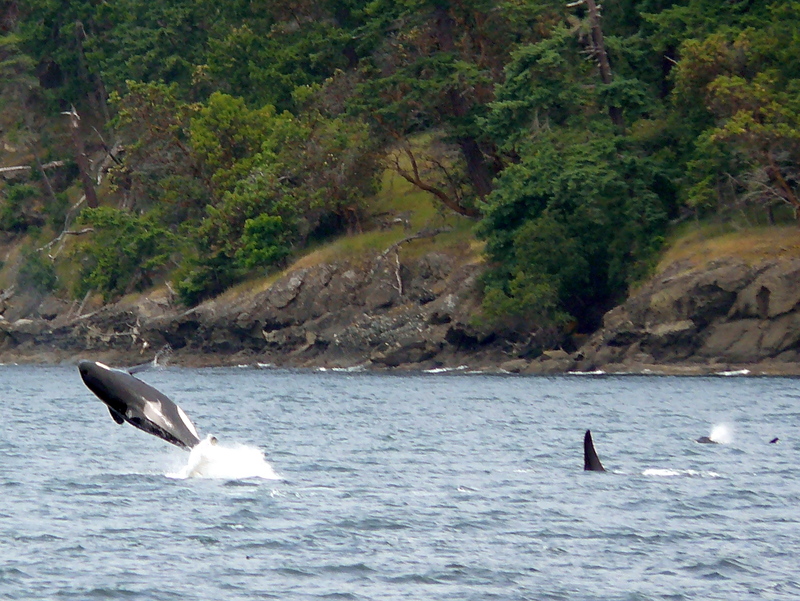 Then J-27 Blackberry and a female starting circling, making several direction changes, hunting for salmon! 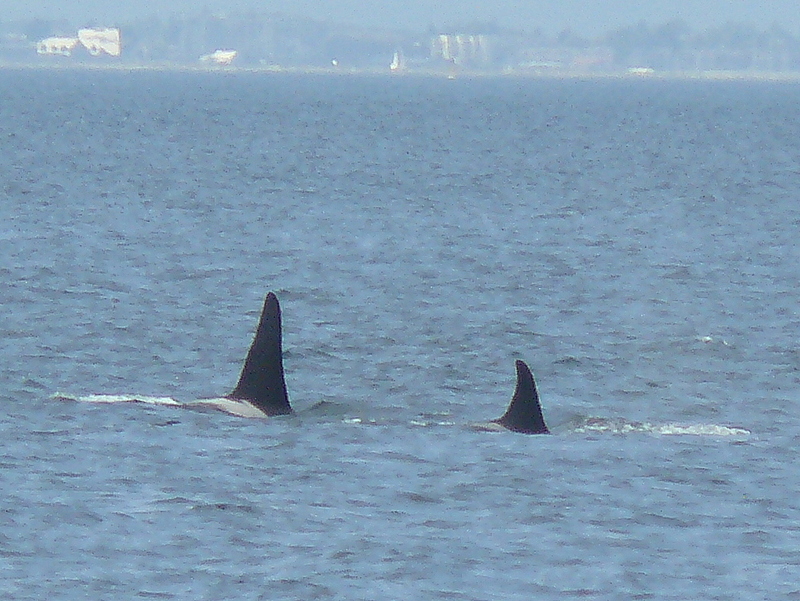 At Turn Point, the orcas decided to go right, into Boundary Pass, we left them heading northeast. 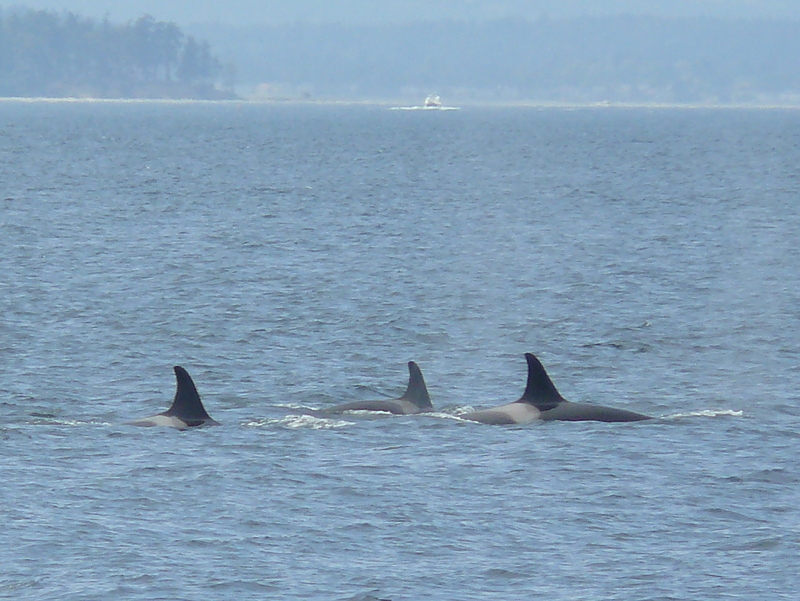 Able to ID J-17 Princess Angeline, J-22 Oreo with her 8 year old son J-38 Cookie & J-32 Rhapsody, J-27 Blackberry, J-34 DoubleStuf (J-22 Oreo’s 13 year old son), J-28 Polaris, J-14 Samish, and J-26 Mike. 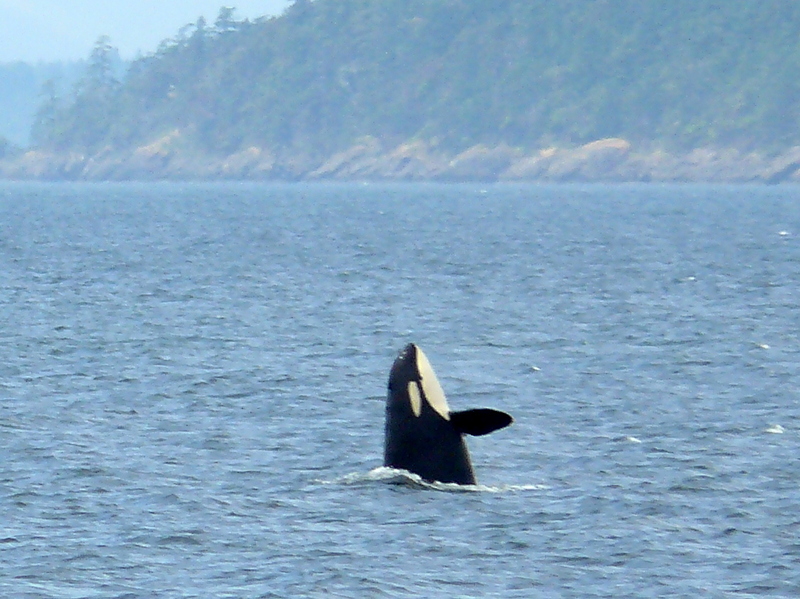 A passenger said the highest compliment; the trip, information and sightings were better than Sea World! South of Turn Point, on Stuart Island, a huge cliff named Lovers Leap, has many bird nests right in the slightest hole. 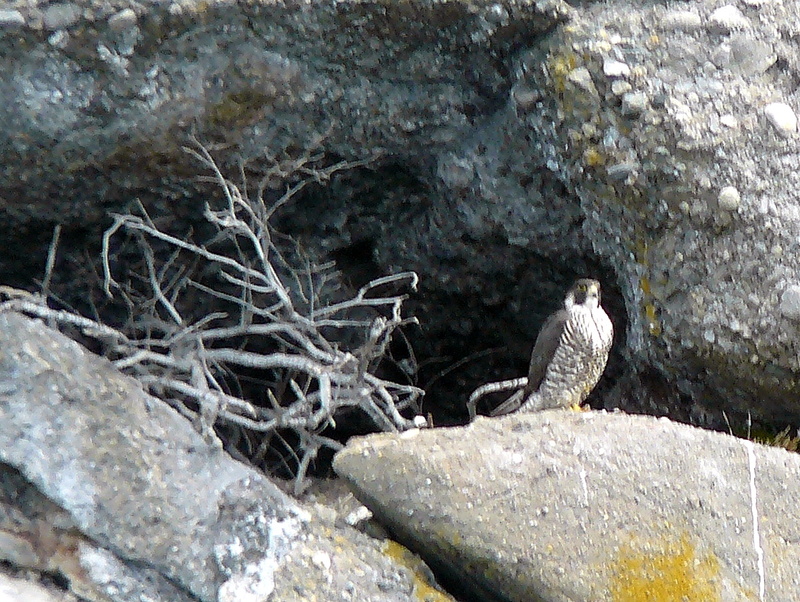 The water is 400 feet deep very close to the cliff, so we were able to see a Peregrine Falcon sitting on the edge of a deeper granite slant, which seemed full of twigs. Were there young falcons back there? Best sighting I’ve had of the fastest creature on the planet- they can fly about 200 miles an hour!